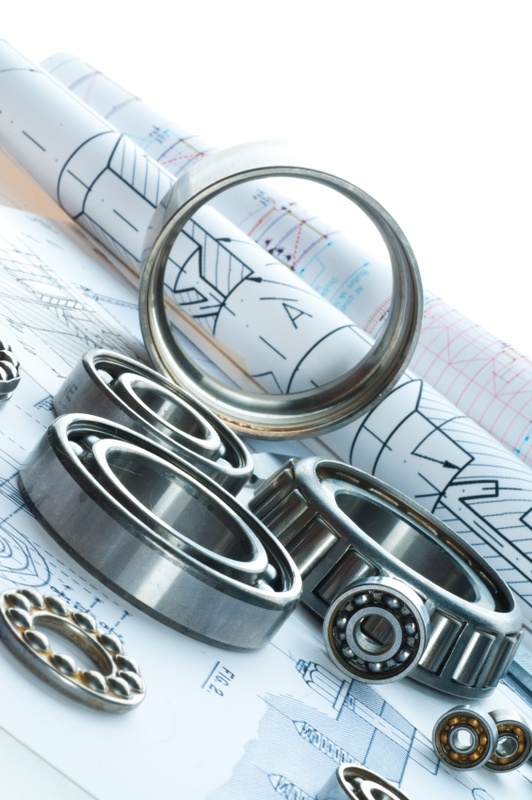 Precision bearings are industrial components that carry loads in a variety of applications. Roller bearings, which operate with rolling elements such as balls or rollers in a raceway, are reliable and durable. In fact, more than 99% of rolling bearings reach their projected service life, even in the toughest conditions. Improper lubrication – Lubrication enhances function and prolongs bearing service life, but only if done correctly. Too much or too little grease, mixed lubricants, and contamination can all have adverse effects on the bearings. Lubricated bearings also have a “grease service life,” which is a state of optimal function between lubrications. If an engineer neglects to reapply lubrication when this time expires, the bearing can fail. Mounting and installation of bearings – It is crucial to use proper tools and heaters during the mounting process. If mounting pressure is applied to the wrong ring during installation, particularly with self-aligning bearings, the raceways and rolling elements can become dented. If the fit is too loose, tight, or misaligned, the preload weight will be skewed and could cause the shaft to rotate or creep. Operational stress and bearing selection – Although roller bearings are generally reliable, the overall application they work within may change over time. If the load within an application becomes too high or too low, bearings could fatigue or skid, respectively. Warning signs of these failures include rising temperatures and unusual noises. Environmental influences – Dust, dirt, media, water, and unwanted heat can all contaminate your bearings if they’re not properly sealed. Depending on the application, a bearing may require insulation to prevent electrical currents and sparks. Be mindful of outside factors that could interfere with your specific application and be aware of precautions you could take to prevent such problems. Considering different bearing technologies and identifying the one most suitable to your specific application is the first step in the prevention of bearing failure. By keeping these causes and their warning signs in mind, you can proactively make corrections to avoid premature failures and additional costs.